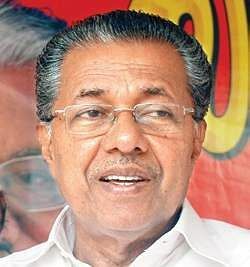 KOTTAYAM: In what could be an advantage for Sabarimala pilgrims, Chief Minister Pinarayi Vijayan informed Union Minister for Civil Aviation Ashok Gajapathi Raju that the state government has identified land for an airport in Erumeli. Pinarayi said though the land has been identified for the airport, the project would be finalised only after making due discussions in the state with various entities. Pinarayi said the Erumeli airport was not viewed as an alternative for Aranmula airport, which he said was now a closed chapter. The Centre had earlier informed the state that an airport at Erumeli would be considered if the government identifies suitable land for the project. BJP state chief Kummanam Rajasekharan said his party would welcome the move to construct airport. He said the authorities should take care to avoid environmental issues and save the farm lands in the region. “The land which is learnt to have been identified for the project is Revenue land. Hence there will not be any acquisition costs. This land has been identified as Revenue land by the Rajamanikkam committee,” said Kummanam. He said the BJP would oppose any move by the government to offer price for the land. Poonjar MLA P C George, who had earlier raised the demand in the Assembly, welcomed the move. George said land required for the project was available at Erumeli grama panchayat. “The major advantage is that the airport can be constructed in Erumely without any environmental issues. Those who arrive from abroad can easily reach Idukki, Pathanamthitta and Kottayam,” George said.